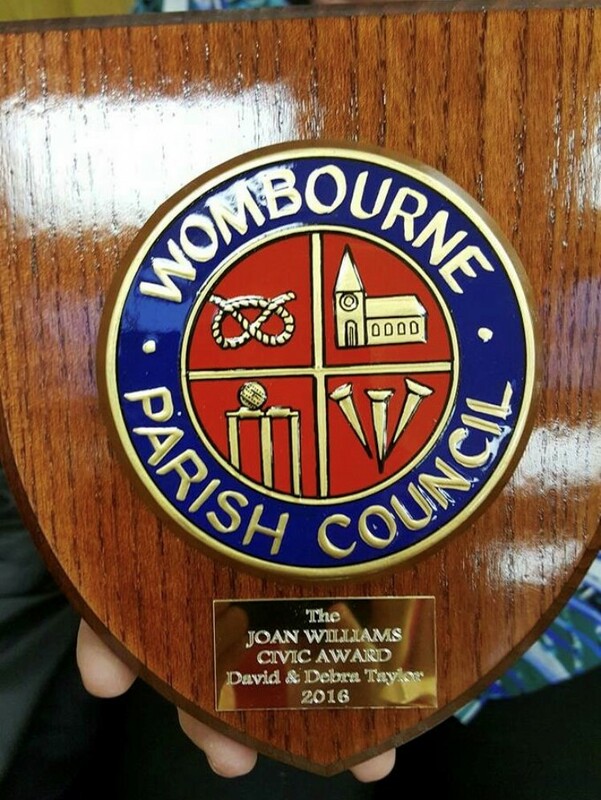 Wombourne Parish Council is again making its Annual Civic Award to be presented by the Council to the person who has made a significant contribution to village life in Wombourne in 2018. The Award was first instigated by the late Councillor Mrs Joan Williams in 1980 and there have been many worthy winners over the years. As a mark of respect and in recognition of Mrs Williams’ thirty six years’ service on the Parish Council it was agreed that this Award should be renamed the Joan Williams Civic Award. Last year’s winner, Mr John Reynolds, pictured with former Chairman of the Parish Council, Councillor John Pike, said it was honor to receive the award. 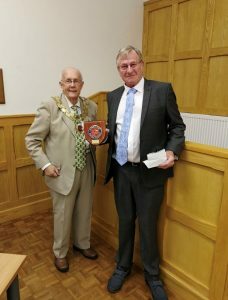 John’s work in community dates back well over 35 years, and he is an active member of several committees, including Wombourne’s Best Kept Village Committee, Wombourne Community Association and Wombourne Carnival Committee. In closing sentence of the nomination for John, it said ‘Over the last 35 years Mr Reynolds has fully committed himself with dedication, loyalty and hard work to the various organisations in Wombourne of which is he a member’. You should provide the name of the person you wish to nominate and the reasons you feel they would make a worthy winner. All entries need to received by 5.00pm on Friday 1st March 2019 and the award will be presented at the Meeting of the Full Council on Monday 13th May 2019. If you have any queries, you can call the Parish Council Office on 01902 896300.